These tests accompany BJU Press' Writing & Grammar Grade 7 Curriculum. 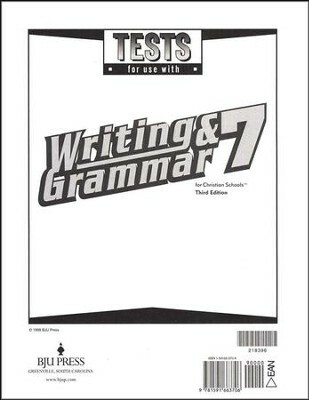 They include only the tests; answers may be purchased separately in the Writing & Grammar Grade 7, 3rd Edition Test Answer Key. 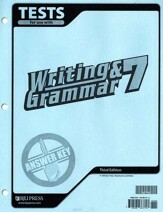 Questions include matching, multiple choice and in-test editing; tests are included in glue-bound book for easy removal. 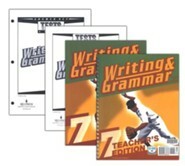 Chapter tests, as well as a midterm and final are included. 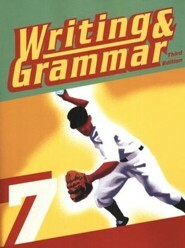 This resource is also known as Bob Jones Writing & Grammar Grade 7 Tests, 3rd Edition. 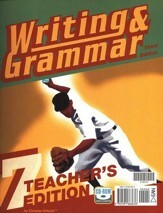 I'm the author/artist and I want to review BJU Writing & Grammar Grade 7, Tests (Third Edition).